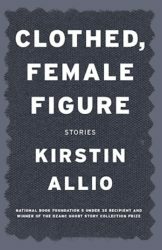 The following is "Green" from from Kirstin Allio’s collection Clothed, Female Figure. Allio's novel, Garner, was a finalist for the Los Angeles Times Book Prize for First Fiction. She is a recipient of the National Book Foundation's 5 Under 35 award, a PEN/O. Henry prize, and other honors for her short stories and essays. I tamped my loose hair—the color of a speckled egg, I have observed lately. A proper gardener, I thought to myself, sits to lunch with wine, silver, and fresh cucumbers after her toils. Now which boy was this? I beckoned and he leapt across the street with no heed for traffic. A rather quiet suburb, it’s true. Some distance— as you know—from the city. I held him up to unhook the feeder from a branch in the pear tree. On the back of his neck there was a raised freckle. They used to tell us to catalogue our children. The boy poured the black seeds in the plastic tube quite capably. Bravo, I told him. But I thought to myself it was a sound like wind in heavy grasses. The garden reaches around my house in a profligate embrace. My neighbors call it a jungle. You must have heard the morning uproar of birds, Naomi, for you arrived, suddenly, in the morning. This cacophony also shocks my neighbors. There goes Anna Vong, they say, the old colonist. Dripping water from a can with the throat of an insect. My house is like me, isn’t it? Tall and narrow. Vong was not my husband’s name, but one he composed, his pentatonic ear, from our separate histories. This new name would hide his heroism in Indonesia—not his modesty but his desire to forget war altogether—and my van de Something, my whiteness. He kept Wayan, which only meant firstborn. I kept Anna. I laugh at myself in your company: as a young woman my skin, too, was pearled abalone. Of course I appear quite an old woman now, who shares the tics and habits of all elderly. We sleep poorly, like cats. At night we scavenge memory, in the day we doze in armchairs. We cannot remember yesterday, but a given day sixty years ago is a cool oasis. I must apologize for my faded complexion—as they say, colorless. When I reach up to touch my face I am reminded of the stucco sheath of a house: my own house, one of many identical houses in the development. You see my forearms mottled with scaly sunspots from years of exposure, long straight bones from knee to ankle. I do not belong to a generation with calf muscles. I confess. I no longer find it necessary to wash upon waking. But perhaps you believe, as I do, that age is only a veil, a curtain. Before I could speak to the boy who had attended to my bird feeder, his father was bearing down upon us dressed for a city office. A puppy with a shampooed fleece followed and the boy dropped and tumbled away with it. I thought to myself, I know the boy’s father. He bathes in the morning. In winter the steam rises off his northerly seal head as he strides to the commuter station. You do not have to know the East Indies to fall under the spell of light filtered through chlorophyll stars, tentacles of green like dragon tails. These Dutch are children who follow their noses, A to B, even before they know their alphabet. But I have seen for many years now how they can’t help slowing when they pass my garden. I do not, Naomi, see light in children unequivocally. Or goodness. I see light—but it’s a science!—in leaves, and flowers. One day my knees will simply give way as I hoist a neighbor child to a berry in my bushes. Across the street you see Mevrouw Van Daale’s garden and its centerpiece, a tidy, skirted windmill. No one lets on it looks like that same little boy, about to be whipped for trying on his sister’s dresses. Their concern is great for the male progeny. They would not look kindly on you and your female companion, Naomi. Keep her to yourself. There you lie so sweetly against her clothed shoulder, your hair an aureole—if radiance can be dark. Of course you’ve kept your shirts on. For my sake, isn’t it? I’m an old woman, you’ve considered. What if I were to look in on you? But you’ve whispered deliciously to each other in my presence, even held hands, because of course you’re also children, and want me to notice. No doubt you have told your Krista that as a child, for that singular year of your father’s sabbatical, the outskirts of Amsterdam, this very street, how estranged you were, how homesick. So that when you return—today! Is it still?—you are surprised the street is not like the view one has from an airplane. Of farmland, for example, patchwork greens and browns, made abstract by dis- tance. You are surprised that the child’s bicycle stitched carefully in the grass in front of Verdaasdonk’s—the exact house your family rented—is not, to scale, a dragonfly. Perhaps it is not what you wanted, that the street appears so cozy, that I am still here, in fact waiting for you at the gate of my garden. But here you are asleep in my spare bedroom. I’ve folded fresh towels in the bathroom: did I forget to tell you? The hollyhocks bend over the fence in front. Living alone has its own order. Why bother returning the garden shears to a crooked nail? There, the scent from the row of potted jasmine. It trans- ports me. And to prod behind it with the fork of my hand for the small green cucumbers like crisp caterpillars. I will confess my aptitude for drink, which is well known as a comfort for heartbreak, a balm for loneliness. You can see it on my face if you come closer: the flared pores, bone swelling. Oh it’s not so terrible, is it? A single distraction? I was never trained in the art of cooking—the colonist. To Wayan, all food was paste in this European country. Anna, please do not affect Frau Housewife. He used the German. He waved his hands. He could bend his hands backward like a dancer. Give me what you’ve prepared for the baby. He did not understand that mashed carrots, for instance, did not flow from my body. This same kitchen, so narrow. Of course I remember you, Naomi! You were a shy girl of seven with long brown hair the color of brown skin in my native country. You were a precocious reader. You had made a pact with yourself not to smile. You arrived in autumn, your father’s academic calendar, and you reminded me of an autumn firefly, brave and chilly. I said, Can you read those bright signals? I remember your brother too. But he was at ease with the children from the American school who moved like a herd of antelope. Naomi Lee! How glad I am to see you! Your mother was white and your father, as they say, Asian American. But I confess I dreamed someone else returning. In the same manner. I belong to a generation for whom the ring of the telephone is jarring. And the voice on the other end, as they say, is tentative. Is that you? Either too colloquial or too formal for the wires. Are every mother’s senses so particular? His skin was wrinkled like a cocooned leaf, damp, and so soft as to be almost furry. The lines around his eyes reminded us of a pouchy grandfather. His scalp smelled of cream and curry which is a smell of new earth in a garden. If he was in my arms he would search out Wayan with his eyes and smile with the unflinching love we call innocence. I prefer to call it joy. I have been here all along, waiting. You look down, embarrassed and delighted. I say, You must be twenty! Imagine! Come in, and your companion! Hello, Krista. Ah, the hollyhocks need a heavy glass. Tell me in English, is it pitcher? My kitchen, excuse me, a dim aisle. The wallpaper of au- burn willow trees is stained with oil and shadow. My windows are screened by the trees of my garden. I don’t bother pruning. Look how the leaves cover the glass like a living petticoat, suffuse the house with green. I have replaced doors with bamboo curtains. These are Hindu thangkas hanging in layers, depicting the sexual exploits of gods and goddesses. My rugs are worn dark and shiny. I wear my slippers in the garden. The neighborhood was first a development for returning colonials. Wayan had wanted to go farther, perhaps America, but I was entitled to a brand-new dwelling in the country of my ancestors. There were parties every evening. We could not believe we owned these houses. We threw them open with their electric, empty rooms, bald windows. Indonesians—we couldn’t be choosy, whether from Bali, Java, even old servants from Borneo, Timor—were sneaked in tocookwithhotpeppersandcoconut. Weformercolonials,wehad the digestive systems of conquerors. And we missed the native dish- es of our nurseries. Wayan and I were at the center. His languages were impeccable and I was haughty, pearl-toned, broad-shouldered. I learned not to speak of my loss. Wayan’s loss was greater. I was twenty-four and he was an old man, forty. He said I have lost my country, everything. My father, mother, two sisters were dead. Our little son Marcus…but I could not, in my heart of hearts, claim to have lost everything. At first, I sustained Wayan with my youth and my belief—girlish, he called it—we might someday recover. But my husband’s soul was frail: he could not ward off daily disenchantment. He could not will himself to fit in this country where his spidery fingers, like a scholar-prince, palms as dry as paper, were suddenly womanish. Where he was a shadow. He became infuriated by my patronizing, demonstrative generosity—With me, Anna! he shouted—from growing up with baboes. He began to call me a missionary to spite me. My family had a charmed life, yes, deep verandas, but political, intellectual, never missionary. The streets of our new development were wide—too wide, a survey error—although it is hard to imagine the Dutch careless with their small bequest, or generous with their country. 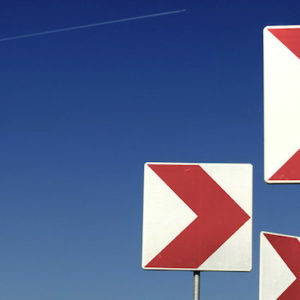 One could become lost in crossing, we joked, we expatriates in our own country. Of course, we were lost already. Wayan and I would make love in reconciliation, it didn’t matter where in the house, none of the rooms were furnished. He came to hate the expat parties. He did not drink. I have no constitution for your liquor, he spat. He pulled me home and flooded me night after night until I conceived a child. But we had all weathered the loss of dignity. Our former lives had been starved out of us. The expat parties began to dwindle. To live snug against Germany was sickening. The Netherlands opens to the North Sea. Or people took jet planes back toward former colonies, South Africa, Argentina. I was eighteen with the first, now lost, child. Wayan, almost twice my age, projected a certain immaculacy in these matters. We used to think of him as all spirit, in his white linen Punjabis and candle-bright eyes. No doubt we flattered him. In the mornings we walked in my parents’ garden like story-book lovers. This was my confinement while my parents decided what to do with me. They were gentle, life-affirming, as a rule with their three daughters. They did not want me to fall accidentally into marriage. And it would be a difficult marriage, between races. But I insisted: it would be a new world order! The child was warm inside me, a hearth in a hot country. Wayan, for all his extraterrestrial purity, never flinched from my light eyes, the color and consistency of poor-quality jade, he joked, imitating a street hawker’s catcall. Here, in the suburb, my new, postwar pregnancy was the jewel of the whole development. My skin turned from ivory to pink and I smelled of cherries. I began to work a garden. I leveled and raked our plot, which was mounded with the construction debris of the settlement. By six months I was a sow! Might it be twins? My back seized into a small burning bunion and I simpered and whined delectably until Wayan was shamed out of doors to help me, squinting, almond skin gone chalky. I lay on my left side upon a blanket and called out orders. It was the first time Wayan had worn short sleeves in the new country. But the baby looked like neither of his parents. He was his own uncharted island, a terrible light-red collusion, a member of a tribe with no leader. Wayan jumped from a bridge before his second birthday. And I was never able to forget the exact source of sadness. That moon, of the East Indies. Do you see the sixty-year-old shade trees along our grid, Naomi? It is no longer a development…very civilized, very Dutch. My garden, with roots that net and pry through the earth toward Indonesia. Regular folk replaced expatriates—malarial, trilingual expatriates who had mourned and thrown opiate parties. Walls were knocked out to conjoin the galley kitchens with dining and living rooms. New, larger, freer rooms in hues of white and beige, spare, bright, continental. The kitchens, Naomi, smell of plastic and burbling coffee. I attend to the quotidian rites of my garden. Imagine! Little Naomi! A world traveler! Out of the blue—the English delights me! Who is your protector? Krista, a sheen of sweat, a long peasant skirt greasy with travel. Your colossal backpacks rise behind your heads like ancient sea turtles. What is it your dark shapes remind me of? Once, long after I had settled in this country, I traveled to England. It was a tour group, all of us over sixty, widows and widowers whose better halves—again, the English—had been averse to travel. My travel fellows were befuddled, spending more time changing kroners into pounds than sightseeing. I was aloof and self-consciously capable. We arrived at the silhouettes of Stonehenge in the late afternoon with not much time before closing. De- spite myself I was moved. Of course, the old stones were animate, like the statues of Hindu gods of my girlhood. I pull out chairs with a view to the vase of hollyhocks. I pour a small cut glass of sweet wine for Krista. You shake your head no, thank you. Your cropped, tousled hair is surprising, lovely, like dark grass. You think you are utterly private. A white girl in a sari, prone on the grass beneath bougainvillea and palm fronds. I’ll have to leave you tonight, I warn. I regret, I say in English. There is a yearly supper I have always attended. I shall take the rail to Amsterdam myself after I have fed you. I clap my hands. Some wine, Naomi! Ah, there you are. Don’t worry about it! I wave my long, fan-boned hands to interrupt and open a second bottle. We’ll move to the garden! It is still light outside like a benediction. You must really visit the Anne Frank House, girls, while in Amsterdam, I might have said, effusively. Why do I tell you, in- stead, my story? 1941, I say. Indonesia. A tour guide of my own heart. In sensible walking shoes. Girls, I say. We sit with our early supper in my garden. Please imagine. A concrete yard hastily stamped on the outskirts of an Indonesian village. A barracks with thatched roof, a holding place for women and children. We were all there: my mother, my two sisters, me and my little son, Marcus. He was two. He carried himself taut belly first, a prosperous little grandfather. We teased him, called him Opa, and kissed his eyelids. He loved best to watch the birds as they rose steeply from the prison yard to clear the chain link. They dropped into the abandoned, bolting gardens on the other side of the fence. What a persistent, mustardy fragrance! At noon there was a bowl of rice and some peas, water that turned our stomachs to jelly. The children sucked on their sleeves and cried, I’m sure, but it’s strange; I remember their com- plaints like beautiful singing. Of course, we left our pram behind; we left our jewelry and our grandmothers’ jewelry; our books embossed in gold, soft leather covers; necessarily, our grand carved furniture. But for little Marcus, free to roam between us, not one of us breezing off to a lawn party at a neighboring farm and leaving him with a host of baboes, the camp was a heaven. There were crawlers in the dirt and snakes in the cool corners of the bunkers. He was a baby naturalist, our father had said. Our mother had a heavy body but a light heart that delighted in her only grandchild. The wife of a guard had demonstrated how to wrap the child up in a length of cloth so he could ride against the body of the imprisoned mother. I tied my son to me. You look like a heathen! cried my mother, doubled with laughter, mocking our lost pram and the other imprisoned mothers who refused the native instruction. Those other mothers watched us warily. Some were missionaries. Some were privy to our family history: not just the way the three daughters waited on their mother, but that Marcus was out of wedlock, that the liberal views of my family had sustained it until a proper wedding could be arranged one year later. Of course, such women tried to cover the drumbeats of fear with idle gossip. They discussed how the three sisters shared Marcus, as if we were a harem, allowed his fine dark hair to grow long with curls. They made note his eyes were black and the shape of willow leaves in dark green water. One day it was brought to my attention that Marcus had wandered with his ration of rice into the yard of the prison. In an instant, birds gathered about him. As I watched my son feed the indifferent blackbirds, the other mothers bared their teeth around me—the tea-stained teeth of all colonialists. At least Marcus might share his rice with their children if he was not hungry. The birds were free to come and go! The boy must learn to take care of himself before he feeds birds for sport as if he were in the Tuileries of Paris! My mother had no other home than this country, although her white skin, snow-pale eyes, and solid build were wrong for it. She was accustomed to being fanned and shaded. She had cataracts and could not tolerate the glare in the concrete yard: she had not once left the barracks since our “arrest” four months previous. What a coincidence, then, of morality, when our father arrived at the camp for women and children. He had arranged for our release, a boat to America. Perhaps he had traded something; he had never been against Independence. We were to meet him at a port on the unoccupied tip of Java. In one week, a miracle! Everyone in the camp wished she had fed the birds herself, like my Marcus. A week passed. We were treated as if our good fortune were palpable, to be inherited upon our departure. The day came and we clustered like hens at the guard’s vestibule, the five of us, my mother shaded with a turban. Each one of us was secretly saying to herself, Of course. All our lives we have been lucky. Which is perhaps why, at the last possible moment, they detained me. Just me. Not my mother, my two sisters. They handed Marcus to my sister Marina. What could she do but take him? I hated her for an instant. My cry as they left had an awful quality of being presaged— tinny—like a recurring dream, losing a child. Sometime later the end of the story reached me. A skirmish had broken out as they reached the free zone. A gang fight, looting. Nothing to do with the war, they assured me, as if this was important in the final reckoning. My mother was killed, and Marina. My other sister, Dara, could not be accounted for. Marcus, my son, was seen standing beneath a pier in water to his nostrils. Seen? I cried. No—no one saw him go under, but neither did any- one recount a rescue. My father reached the meeting point. I was told he died there, in a hotel foyer, of heartbreak. But what does it mean, to the nostrils? Was it an expression? It seemed to me my little son would tilt his head up to the sky to watch morning birds circle for fish in the harbor. Ah. You remind me of my sisters, Naomi, Krista. They too slept together, for comfort. I slept curled around Marcus. The train to the city is almost empty. I choose a seat by a window. Suddenly, I am very tired. I am eighty-four years old. I have not worked a day in my life. My—how shall I say it?—my Dutch child manages my pension. He comes out to my suburb once a quarter, he calls it, with an allowance. He is broad-shouldered like I am. He keeps his black hair too short and he performs one hundred pushups after lunch and dinner. His dark eyes are Wayan’s. They seem incongruous with his blue suit, conventionally nasal accent—but of course all of Asia now wears blue suits. He betrays no history. Perhaps he knows no history, and that is my fault entirely. I would not recognize him in a crowd. High summer green streaks by like yardage of cloth for new saris for all the servants. The train slows and I watch a flock of blackbirds lift off a field. The bread in the shopping bag on my lap is like a starchy baby. The prisoner of war supper is a potluck. Dutch dishes, if one knows how to prepare them, for we are too old to make our particular claims to one island or another, no longer colonies, names shuffled or dropped altogether. Here on the train I am old, invisible. Not even my own son comes to see me. Wayan’s son. Distant as his father. The air is close in the hall with the other veterans, their medicinal, geranium smell, skin powdered with orange rouge or dandruff. How they bore me! They have listened to all the new recordings of Bach and Beethoven, American orchestras. I was the governor’s daughter! Broad-shouldered, ivory-toned, haughty. I draw an old metal chair against the wall and sit upon it justly. I rest my hands on the lip of my waist. I close my eyes for a moment. When I look up there is a young man standing over me. Not young—in his sixties, but too young to be here. I begin to rise and he protests, suddenly flustered and deferential. He pounces upon another metal chair and lifts it over. There is something green, nascent about him. Well who can you be? I inquire. I take his hand between my hands instead of shaking it, partly, I admit, for balance. But is it my imagination that makes it suddenly small and trusting like a child’s? His eyes have some- thing of the narrow shape of willow leaves, his skin the finish of a full moon low on the horizon. He is taller than me by a few inches. It is as if I can see the sound. Television static, chain link, the blur from a train window. The green water of that Javanese harbor. I wake deep inside with the sense of hoarding a dream, an inner angle. The sun is burning behind a white gauze veil. I am glad my house comforts you. If you did wake suddenly, you would think I was a ghost wafting in the doorway. You would think I was the scent of jasmine. You would think I was a dream, as if I could take you out of town, on a train, across the flat fields of our small country… Some are green, purple, brown, and gold, for it happens to be a fertile season. When we reach the border we’ll get off the train and walk for a while. We’ll walk into the hills. What is this? you’ll cry. We’re still in Europe—all these palm trees, bougainvillea, birds like kites, flashing and dipping, a sweetness in the air—is it jasmine? I’ll be too far a head to hear you, Naomi. You’ll go on for half a mile, you and your Krista, thinking you see my white shirt, white hair, just there, through the dense foliage. But your eyes aren’t accustomed to this green, a million shades of it, and the color of light here is green also. You’ll slow your pace. As your breathing quiets, you’ll grow tired. The jungle will close around you. That’s where memory awaits us. I won’t stand here longer. He’s waiting for me in the garden. Is it so surprising that such a reunion occurs on the day I have told the story? The garden never grows entirely dark, I say to my son Marcus. Green absorbs light, I say, and holds it. From CLOTHED, FEMALE FIGURE. Used with permission of DZANC Books. Copyright © 2016 by Kirstin Allio.